Before drawing this sketch, I watched dbz and decided to try something new I mean nobody have seen the ssj6 form of goku so. 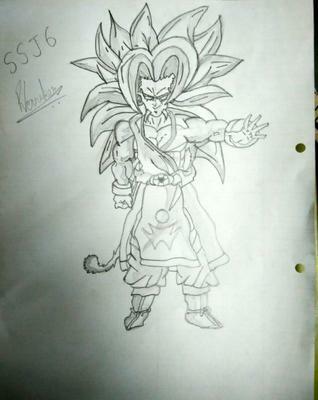 I just got a pencil and a paper and started drawing imagining how would goku look in ssj6 form... This is what it came. Out.